Description: Terry Velour Hot Pink Hand Towels in Bulk. One side of towel has terry loops and other side is plus velour. Ideal for any high-end use. Add a Brass grommet & hook to make a Golf Towel. Available at great prices here!!! Description: Terry Velour Black Hand Towels in Bulk. One side of towel has terry loops and other side is plus velour. Ideal for any high-end use. Add a Brass grommet & hook to make a Golf Towel. Available at great prices here!!! 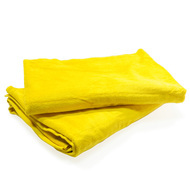 Description: Wholesale Lime Green Terry Velour Hand Towel. Ideal for screen printing or custom embroidery. Add a brass grommet & hook for Golf use. A lovely hand towel for any high end use. Soft velour side. Great price offer!!! Description: Black Terry Velour Gym Neck Towel. Hangs around the neck while working out. 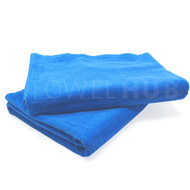 The velour side of the towel can be screen printed or embroidered on to display company name & logo. Great wholesale price offer! 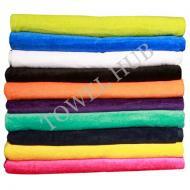 Description: Bulk White Beach Towels Terry Velour in 30x60 size. Very good quality. One side is terry whereas the other side of the towel is velour. Excellent for printing and embroidery. Make perfect promo products for events. Great price offer! 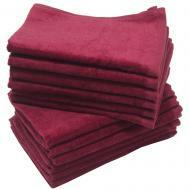 Description: Wholesale Burgundy Terry Velour Hand Towels. Made of 100% premium plus quality cotton. Makes a great golf towel. A very high-end hand towel to have. Great deal available here! 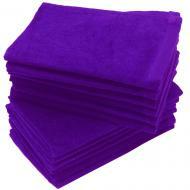 Description: Wholesale Purple Terry Velour Hand Towels. One side of towel has terry loops and the other is plush velour. Add a brass grommet & hook to make a golf towel. Perfect for custom embroidery and screen printing on. End dobby hem. Ideal for any high end use. 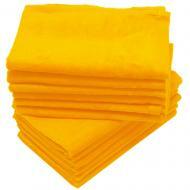 Description: Wholesale Gold Terry Velour Hand Towels. One side of towel has terry loops and the other is plush velour. Add a brass grommet & hook to make a golf towel. Perfect for custom embroidery and screen printing on. End dobby hem. Ideal for any high end use. 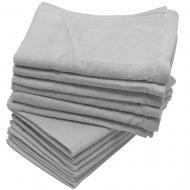 Description: Wholesale Beige Natural Terry Velour Hand Towels. One side of towel has terry loops and the other is plush velour. Add a brass grommet & hook to make a golf towel. Perfect for custom embroidery and screen printing. Ideal for any high end use. 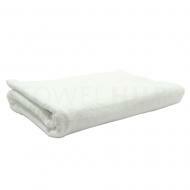 Description: Wholesale Baby Pink Terry Velour Hand Towels. One side of towel has terry loops and the other is plush velour. Add a brass grommet & hook to make a golf towel. Perfect for custom embroidery and screen printing on. Ideal for any high end use. 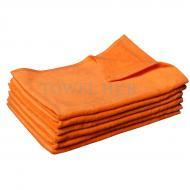 Description: Wholesale Terry Velour Red Hand Towels. One side has terry loops and the other side is a soft plush velour feel. Excellent for Embroidery & Screen Printing. Add brass grommet & hook for Golf. Available at a great wholesale price! 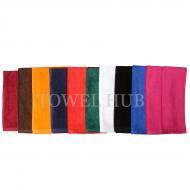 Description: Wholesale Black Terry Velour Hand Towels. One side terry other side velour. A perfect soft towel for any high-end use. Add brass grommet & hook to make a lovely golf towel. Perfect to Screen Print or Embroider on velour side of towel. Low price offer! 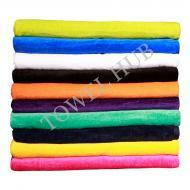 Description: Wholesale Terry velour hand towels. One side of towel has terry loops and the other is plush velour. Add a brass grommet & hook to make a golf towel. Perfect for custom embroidery and screen printing on. End dobby hem. Ideal for any high end use. 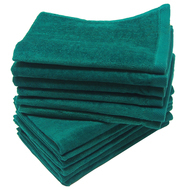 Description: Wholesale Hunter Green Terry Velour Hand Towels. 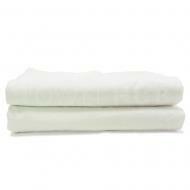 Made of 100% Premium Plus Egyptian cotton. Add a Brass grommet & hook for golf use. 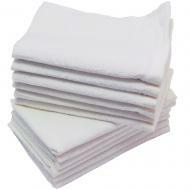 Perfect to Screen Print or Custom Embroider on the velour side of the towel. 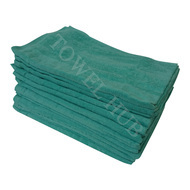 Great price offer for a high quality towel. 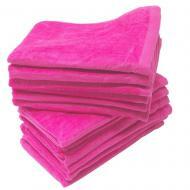 Description: Terry Velour Hot Pink Hand Towels in Bulk. One side of towel has terry loops and other side is plus velour. Ideal for any high-end use. Add a Brass grommet & hook to make a lovely Golf Towel. Available at great prices here!!! Description: Wholesale Royal Blue Terry Velour Hand Towels. Makes a lovely Golf towel. One side of the towel has terry loops and the other side is soft velour. High quality! Excellent to Customer Embroider & Screen Print on. Great price offer!